﻿" ...with attractive vivaciousness and urgent feeling"
“ -Cupid (Keri Fuge) assists Orpheus by painting his eyes so that he is able to follow the gods’ commands and not acknowledge Eurydice with even a glance. "Keri Fuge's tinker of a Cupid is an especial delight, her every appearance signalled by an improbable pair of white wings ('I wear them for decoration')." 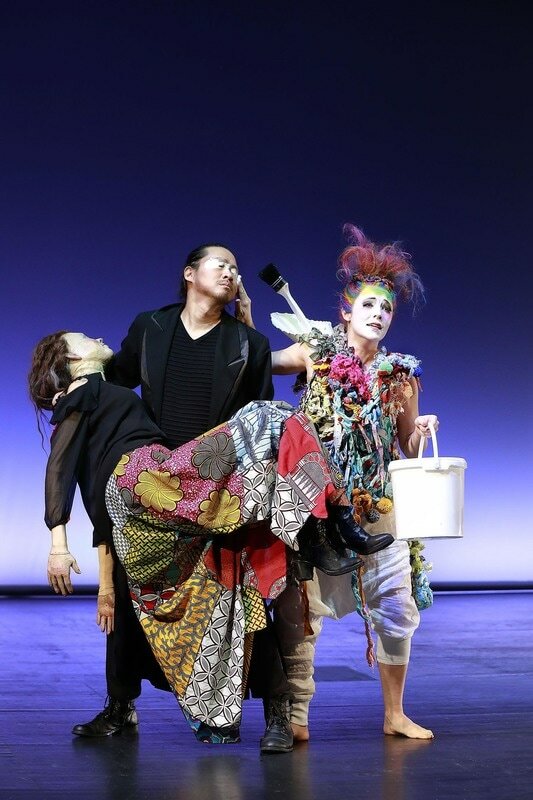 "...the duplicitous Cupid — (sung with attractive vivaciousness and urgent feeling by Keri Fuge)"
​"Another excellent portrayal, both vocally and in acting terms was Keri Fuge as Cupid, with her endless winding-up of Sky Ingram’s seductive Venus." "..it was a chance to hear the next generation of voices. Between Louise Alder, Siobhan Stagg, Keri Fuge and Lauren Fagan it’s a future with no shortage of superb sopranos." A Midsummer Night's Dream CD recording by Chandos, Edward Gardner and CBSO. 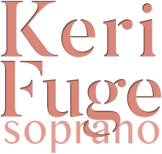 "Keri Fuge ... sang with dramatic force and vocal splendour.​"